Spot and Stain Removal: We are able to remove a wide variety of spots and stains with the process we use. However, for stains that aren’t removed through our regular process, we apply additional stain removal techniques to these areas. Pet Odor and Stains: We can remove a variety of odors and stains associated with pets and the like. Dynamic Carpet Cleaning and Restoration offers treatments that can vary depending on the severity and the desires of the customer. Estimating: Our carpet cleaning service is estimated by the size of the carpeted area to be cleaned or commonly known as square footage. We will measure the areas you would like cleaned then provide an accurate free estimate (without obligation) based on that area. As for upholstery, an estimate will be based on the size of the item, number of cushions/pillows and type of fabric rather than square footage. We offer a FREE professional spotter bottle with our very effective soap-free product. 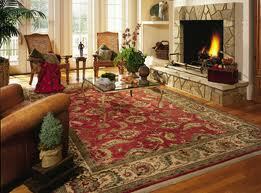 Fabric Protection: We recommend a carpet and fabric protector for your carpets and furniture. Protection — when it is properly applied after the items have been freshly cleaned — will reduce overall soiling and help prevent staining. It will also aid with maintenance vacuuming and help with future cleanings. Before and After Results: Below is just one example of what you can expect. In this particular photo the carpet had average overall soiling. Although it had not been cleaned in a while, the carpet didn’t appear to be very soiled. However, the amount of soiling became apparent after we started cleaning the carpet.